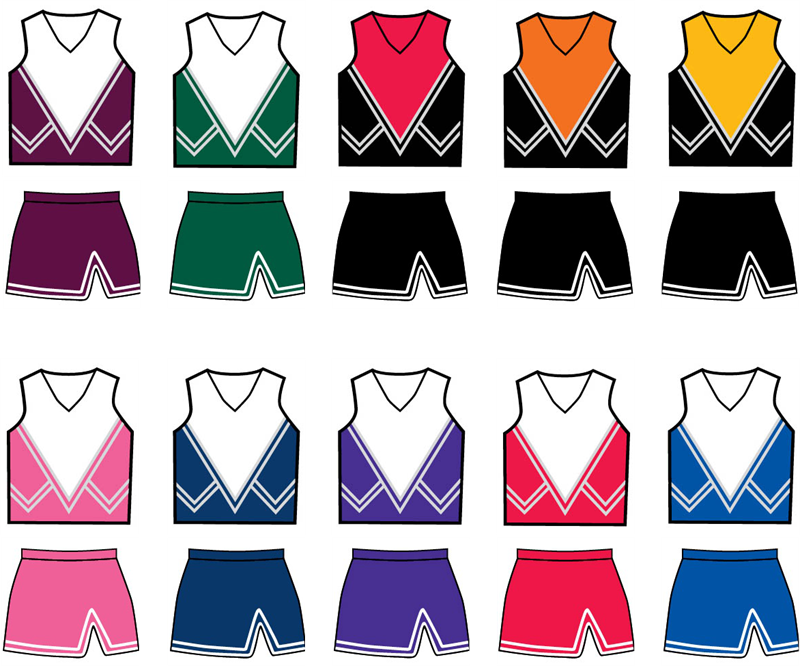 Cute and affordable cheerleading outfit includes v-neck shell with a half-moon back design. A-Line skirt has stylish v-notch on left thigh. Trim is a three stripe braided trim with white sparkle. Colors: black with red, black with orange, red with white, royal blue with white, purple with white, hot pink with white, black with gold, forest green with white, maroon with white.